So, I’m sure you’ve been to Wondermilk Publika. Pardon me, but I’m a bit jakun. I’m sure I’ve tasted their wonderful cupcakes at some events but I’ve never been to their cafe. 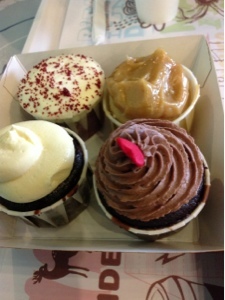 So after an event, I went to Wondermilk Publika for some of their cupcakes. Indeed their cupcakes are yummy! 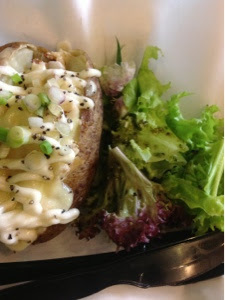 The baked potato with cheese and chicken. I love the unique decor. It has a homey and cozy feel. Gosh, the people behind Wondermilk are geniuses!